"What and Why" page or click on the link at the bottom of the page . Mini and small lamps are great for adding an accent on a small corner or bedside table or in a bookcase. Some can even be hung from a wall bracket. Medium lamps can be decorative, functional and so much more. Some can be hung while others are best displayed on a table. I presently have none available. Please view my sample gallery. 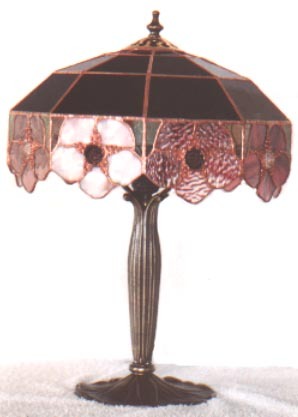 "Flower Fan Lamp" "Basic Dome/Flower Border"
Large Lamps will add a dramatic effect in any setting. 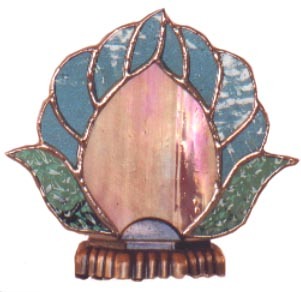 Standing or hanging from a ceiling or a wall they will definitely be a focal point. 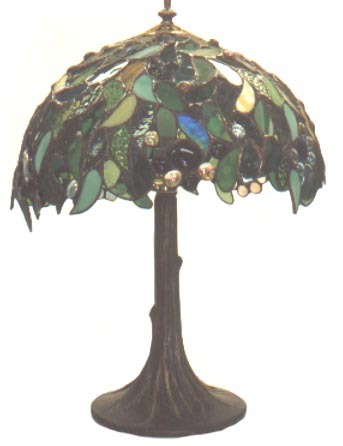 They are great as coffee table lamps, hanging over a kitchen table or next to your favorite reading chair. 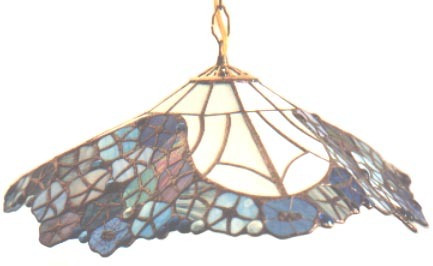 My sample gallery can give you an idea of other lamps I can make. It includes mini to large lamps. "3 Petal Floral Lamp" "In Full Bloom"
Stay tuned for more Galleries in the future.